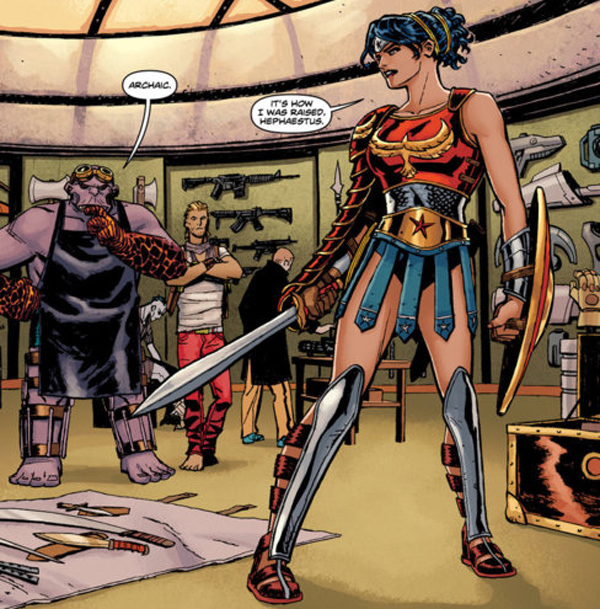 Gal Gadot Brings The Right Look To Wonder Woman | Heck Yeah Comics! 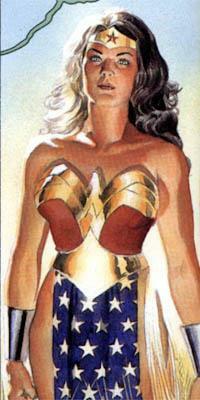 If you don’t think that this is how Wonder Woman is supposed to look, then you don’t know Wonder Woman. Pretty badass. Sure, she isn’t 6 feet tall, but that’s not a huge deal. She’s proportional, and looks tough, which is far more important. 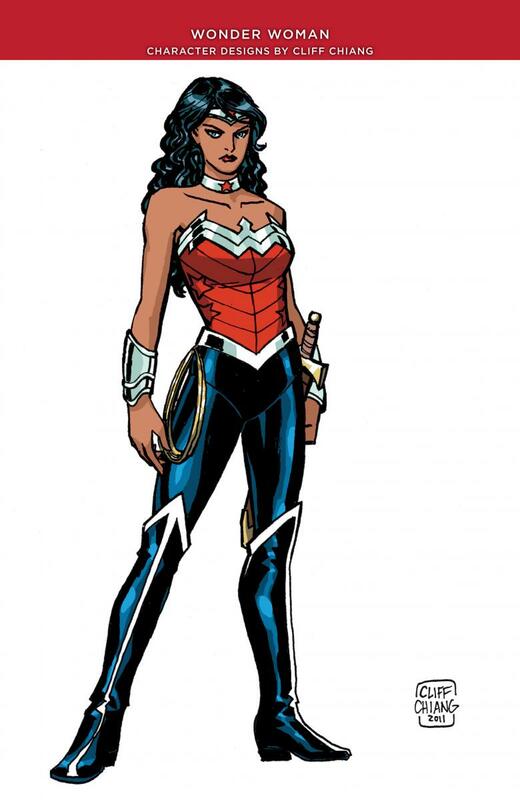 Yes, the costume is a bit more bronze than the colorful outfit we’ve seen in the past, but that’s to provide a contrast to Superman’s blue and red and Batman’s black to allow her to stand out. Costumes are also constantly evolving and often take big shifts from the pages to the screen. All the core elements are there. 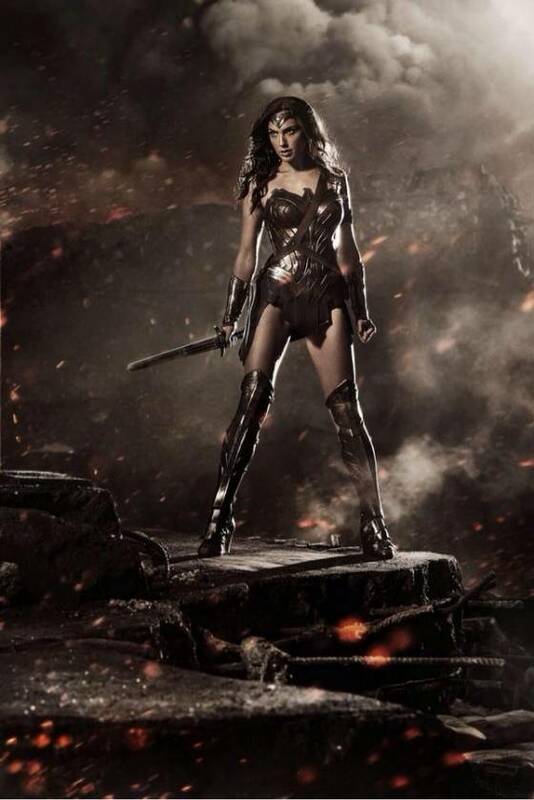 What really strikes me about this picture is how much Gal Gadot really looks like Wonder Woman. 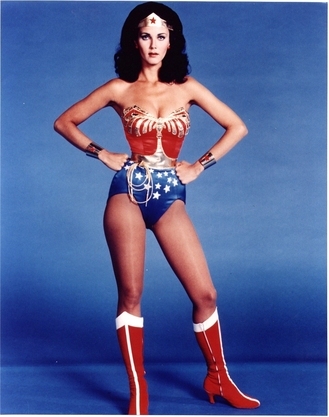 A lot of people disagree with that, saying that Wonder Woman is supposed to be quite a bit more muscular, with powerful thighs and a waist that isn’t so tiny. They say that Galdot’s arms need to be bigger, more defined, as if she should look like someone who’s bench pressing every day. 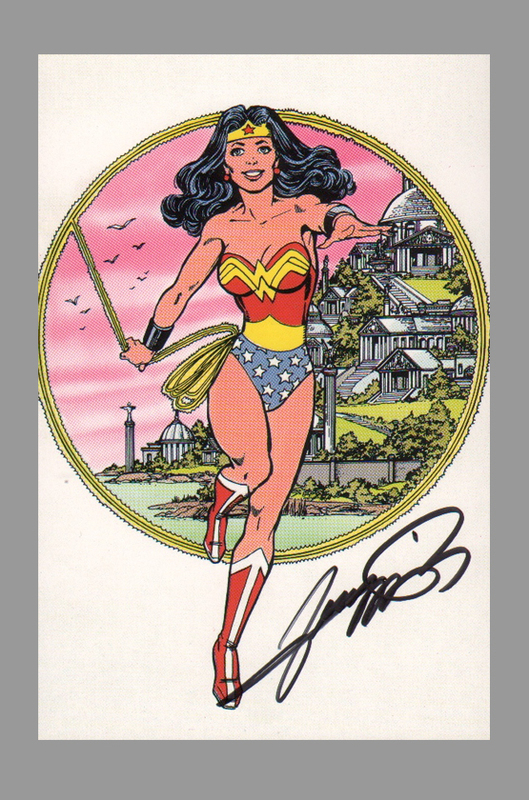 To prove my point though, I’m going to take a look at some of the Wonder Woman designs over the years. Where’s a better place to start than the beginning? 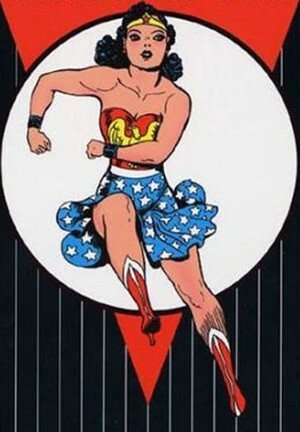 Wonder Woman was created by William Moulton Marston in 1941. 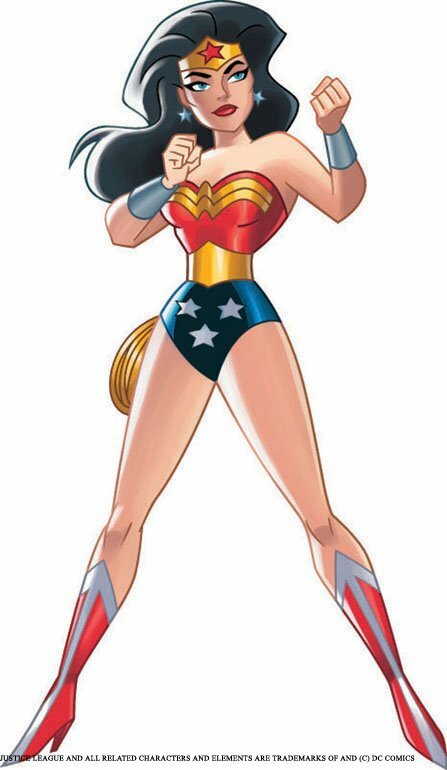 She first appeared in All Star Comics #8 and became so popular that she was the lead feature in Sensation Comics when it debuted its first issue. Like all super heroes, she has changed a lot since that first appearance, but some of the seeds planted there carry today, and that includes many elements of her original design. 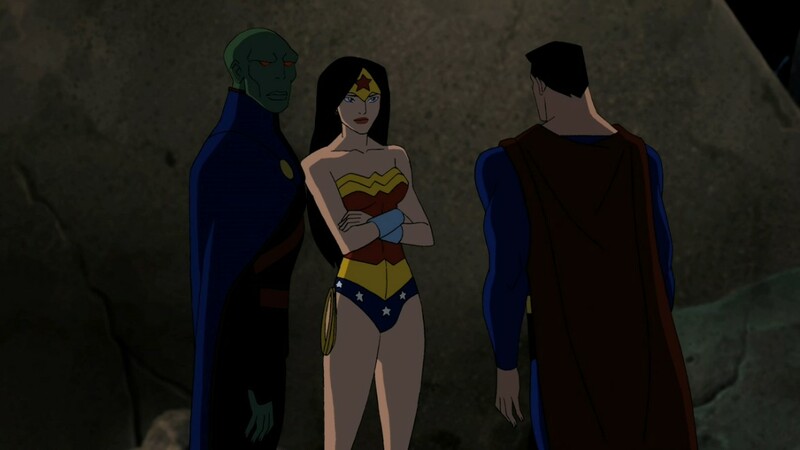 … and in to the animated universe where Wonder Woman appeared in shows like Justice League and Young Justice. This was also the approach taken in the life action Wonder Woman television show where Lynda Carter played the Amazonian princess. That show didn’t feature a muscled out body builder type, but a woman with a small waist and tiny arms, and people look back fondly at Carter’s portrayal, choosing to forget the much campier elements. Sure, the outfit may have been a carbon copy of the comics (which also proves that it may not be the best approach), but I would argue that Gal Gadot looks far more like Wonder Woman. I believe my case has been rested. If you want to go off of looks, Gal Gadot has hit all the points that need to be hit. Call off all your hate and go pick up a Wonder Woman book, actually learn about the character. If you really want to be worried about something with this movie, then be worried that David S. Goyer will have a too much influence.